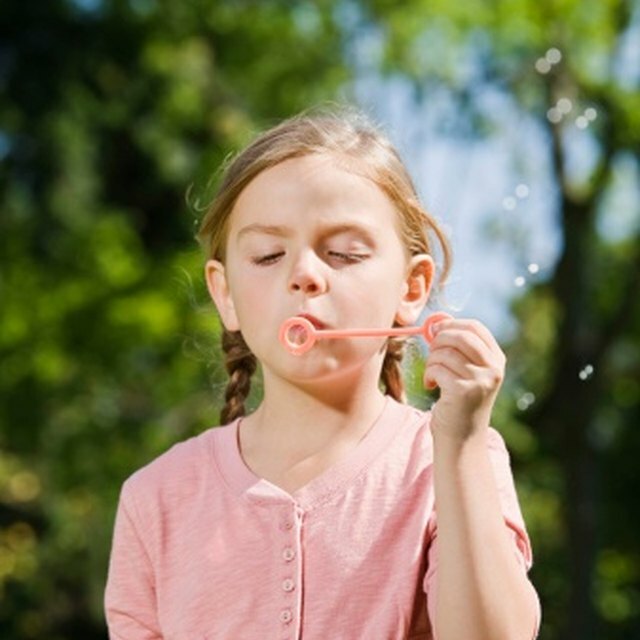 What Is in Corn Syrup That Makes a Bubble? It’s easy to conclude that mineral oil and water should mix well. They're both clear and odorless. However, if you put some mineral oil into a jar of water and shake it, the mineral oil won’t mix with the water. That’s because their molecules won’t let them dissolve. No matter how hard you shake your jar, you might see the mineral oil breakup into small specks, but the water will not mix with the mineral oil. Unless the oil molecules have a way of joining with water molecules, the two will not mix. When an emulsifier like soap joins with water and oil, their molecules gain something in common that helps them form a bond. Otherwise, water and oil molecules can’t mix. Mineral oil has nonpolar molecules and water has polar ones. Dr. Kent Simmons, a biology instructor at the University of Winnipeg, describes water molecules as having two ends. He says one end is positively charged and the other one is negatively charged. A water molecule is a polar molecule. This polar design of water molecules form a strong enough bond that lightweight insects like water striders won't sink as they walk on water. 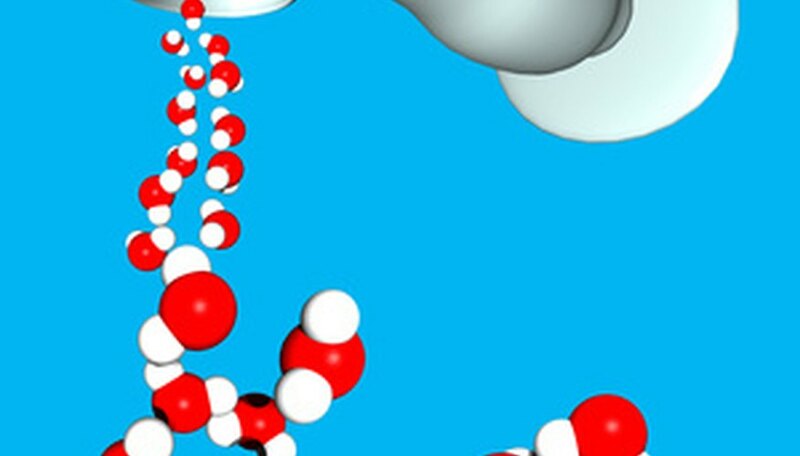 Their tiny feet don’t have enough weight to pull water’s molecules apart. So mineral oil's lighter weight plays a key role in why it won't mix with water water. Its nonpolar bond is not as strong as water's polar bond. Elmhurst College professor Charles Ophardt describes density “as a physical property of matter.” Density can be measured by matter’s heaviness, or weight, by volume. Mineral oil’s density is close to the weight of a water strider’s step; it's not dense enough to pull the water molecule's bond apart. Elmhurst College: What is Density? Hadley, Christina. "Why Mineral Oil & Water Don't Mix." Sciencing, https://sciencing.com/mineral-oil-water-dont-mix-6107887.html. 24 April 2017. Why Oil Won't Mix in Water?